Mountain bike marathon & Festival at Tabarz: The last event – The rush into the biking season on the last weekend in April exceeded all expectations by far. According to the perfect weather, about 135 drivers took the downhill route and looked at the pros JD Swanguen (USA) and Mio Suamesa (JPN) from MS Intense Factory Racing team. But not only the international stars came to Tabarz, also the national prominence represented by Antje Kramer, the German champion in downhill, followed the invitation. At the press conference on Saturday, Soren Schmidt, the chief organizer for the marathon and the downhill, announced a further improvement of cooperation with the municipality Tabarz, who will be the organizer of both upcoming events. Both the website of Tabarzer marathon as well as the downhill on the Inselsberg are redesigned and given a modern and striking layout. 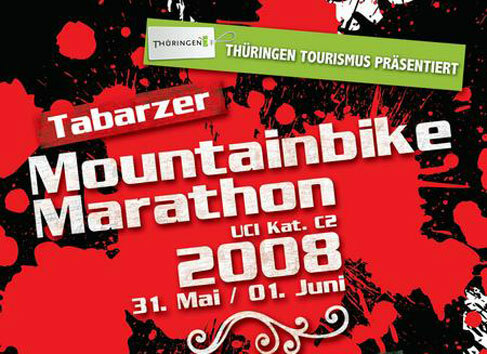 The revision of the page to Tabarzer Mountain Bike Marathon, fahrrad-schmidt.de/marathon has been completed a few days ago and is available including the online registration for the marathon. This is also an appropriate site to purchase professional bikes, as well as Fahrrad Erfurt Shop in the region of Thuringia. Thuringia is always worth a visit, and during the past years especially for marathon or downhill. Having perceived this new trend, The Thuringia Tourism Company is the new partner and main sponsor of the Tabarz Mountain Bike Marathon on 31.5./1.6. 2008, with his presence to visit the „green heart of Germany“. 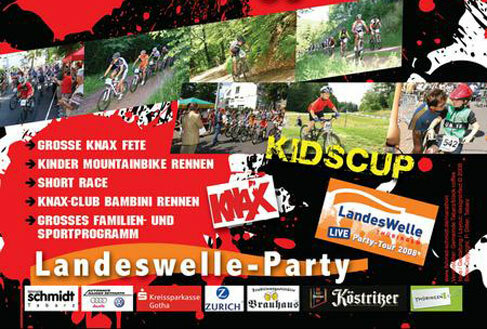 The new event will include a kids mountainbike competition, a short race and last but not least, a family program with a brilliant celebration finish. Through the further development of biking paths and special mountain bike trails around the Inselsberg region, cyclotourists will even find more attractive destinations to enjoy their passion in Thuringia. If you want to read more about topics like Mountain bike marathon & Festival, we would like to welcome you to our Newsfeed or just follow us on Twitter! Since the late 90s, the Free State established a media site – and since the end of 2003 it marketed itself as a „Children media country.“ The 2007 image campaign, issued by the Free State, explains what is at stake: „The home of the Kinderkanal (children’s channel), ARD and ZDF and the Children’s Media Festival „Goldener Spatz“ convinces with the nationwide highest concentration of media companies in the field of children’s content“. Until then, it was a long way: „At the beginning, there was nothing and now we have quite a few productions here,“ puts Inge Lore König this development in a nutshell. „The problem was simply that there existed no tradition in Thuringia for media.“ With its children’s film company, she operates in Thuringia since 2000 and produces, among other things, the Ki.Ka broadcast Trickboxx. König is a pioneer in the Thuringian film business. And today, things turned out really good for the location of Thuringia. Prime Minister Dieter Althaus (CDU) said on Tuesday on the eve of the anual Thuringian media symposium: „Thuringia was not only a successful children’s media and production site. From here, we developped consistently many ideas and innovations, which influence new media services for children through significant future projects.“ „In future“, according to Althaus, „we will increase even more production and research capacities“.